After announcing that homes would start from only $93,900, did you think Surrey’s Evolve Condos was through flexing its affordability muscles? Not even close. Developer WestStone Group and their marketing team at Platinum have announced a new buying incentive for the first 200 purchasers: own for as little as one dollar per day. For the first 200 buyers, every floorplan in the 35-storey concrete building will be offered with a reduced mortgage. Monthly mortgage payments in the first year range in price based on level and layout. For example, a mortgage for a 4th floor north-facing studio will go for $1 a day or $30 per month and a junior two-bedroom suite on the 18th floor will go for $12 a day or $360 per month. Indeed, under the buying incentive, 90 per cent of the homes are under $20 a day for the first year. Evolve is the second of six towers to be built in the West Village by WestStone Group and part of the largest piece of connected development land in Surrey. There will be 2,800 homes built on the location over the next seven years. Located in the heart of the Central City, Evolve has suites that range in size from 316 to 1,294 square feet. Each home boast high-end features and finishings including large windows, spacious balconies and 8.5-foot ceilings. Onsite amenities include a fitness room, theatre and several shared common areas, including a sky-high amenity room featuring a Sky Lounge social room with a fully-equipped kitchen and large rooftop patio area. Want to take advantage of the buying incentive? 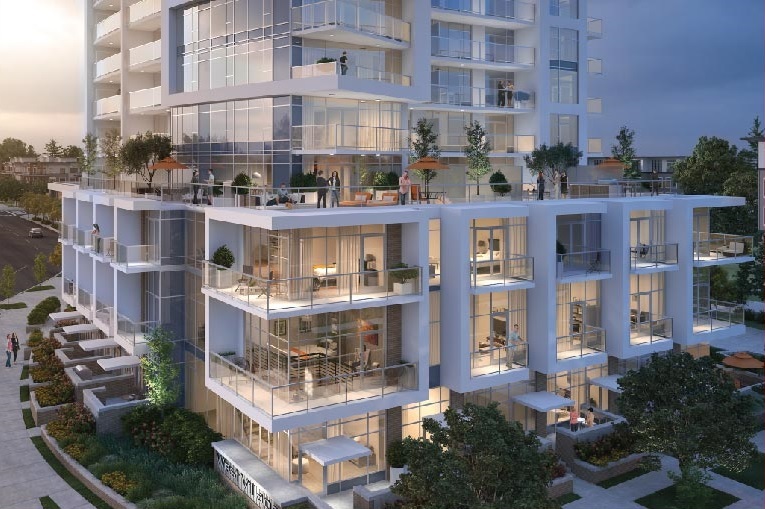 Evolve Condos‘ sales program will launch in April, and you can be sure that BuzzBuzzHome readers will be among the first to know when the exact date is announced. In the meantime, you can learn more by visiting the presentation centre at 13328 – 104 Avenue in Surrey between 12pm and 5pm daily (except Fridays).